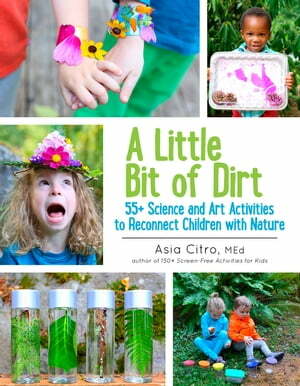 Collins Booksellers - A Little Bit of Dirt by Asia Citro, M.Ed., 9781943147069. Buy this book online. Bursting with creative hands-on outdoor science and art activities, A Little Bit of Dirt is full of motivation to get outside and explore. Whether you're investigating the health of your local stream, learning how birds fly, or concocting nature potions, you'll be fostering an important connection with nature. The engaging activities encourage the use of the senses and imagination and are perfect for all ages. Discover more about the natural world waiting just outside your door!